If you're looking to cook a meal for a classic Korean birthday celebration, this menu will take you through all the courses. Don't forget to make rice! 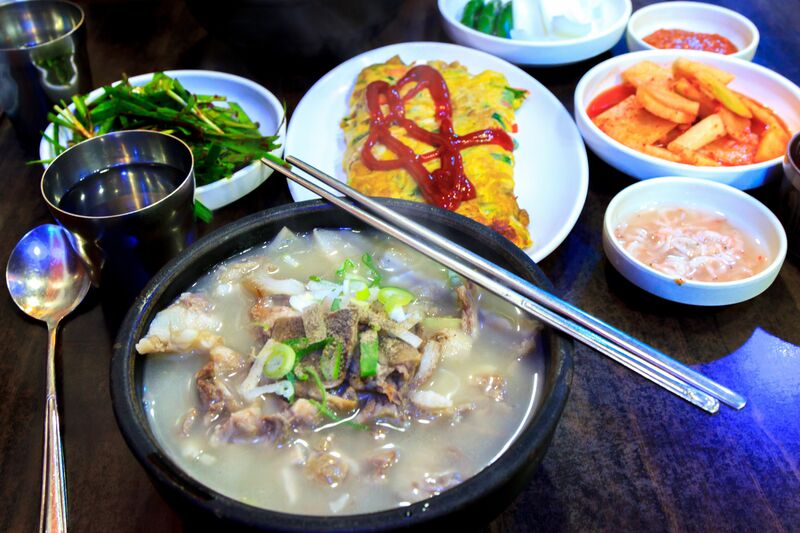 This Korean seaweed soup is known as the “birthday soup” in Korea, so plan to include it at any traditional birthday meal. Naturally low in calories and fat and high in calcium, iron, and protein, it is a light and healthy soup. These grilled Korean shortribs are tender, sweet, and full of the flavors of soy and garlic. Called Galbi or Kalbi, they are usually served with lettuce and condiments. Korean lettuce wraps (ssambap) are perfect little packages made of boldly flavored seasoned meat, rice, a zingy sauce (ssamjang) and a crisp, cool leaf vegetable. "Ssam" means 'wrap' in Korean, and "bap" means 'rice'. You must have some kimchi on the table and a big celebration calls for a few, but you can't go wrong with radish cube kimchi (kaktugi). Kaktugi seasonings are almost identical to those in baechu kimchi (which is made from Napa cabbage), but the crunchiness of the radish gives it a snappy texture all its own. It's also good for children or a large family-style meal since it's a little easier to eat. Kaktugi is not hard to prepare and the hands-on time is not long, but with most kimchi, you do have to wait at least a day for the fermentation process to work its magic. This Korean anchovy side dish (Myeolchi Bokkeum) is easy, satisfying, and nutritious. Full of crunch and calcium, it tastes a lot better than it looks. This light, nutty Korean barley tea (bori cha) is served year-round with Korean food. Healthy and mild, it can be served hot, warm, or cold. This simple, moist green tea cake (nokcha cake) is subtly sweet. You can adjust the amount of sugar you add if you prefer a sweeter cake, or you can top your green cake with some cream cheese frosting. If it's hot and you have an ice cream maker, then you can serve this green tea ice cream instead.